Tagua Nut All-Natural pipe with a Tagua stem. Tagua is a very hard natural material that does not add any flavor. You taste only what you're smoking. 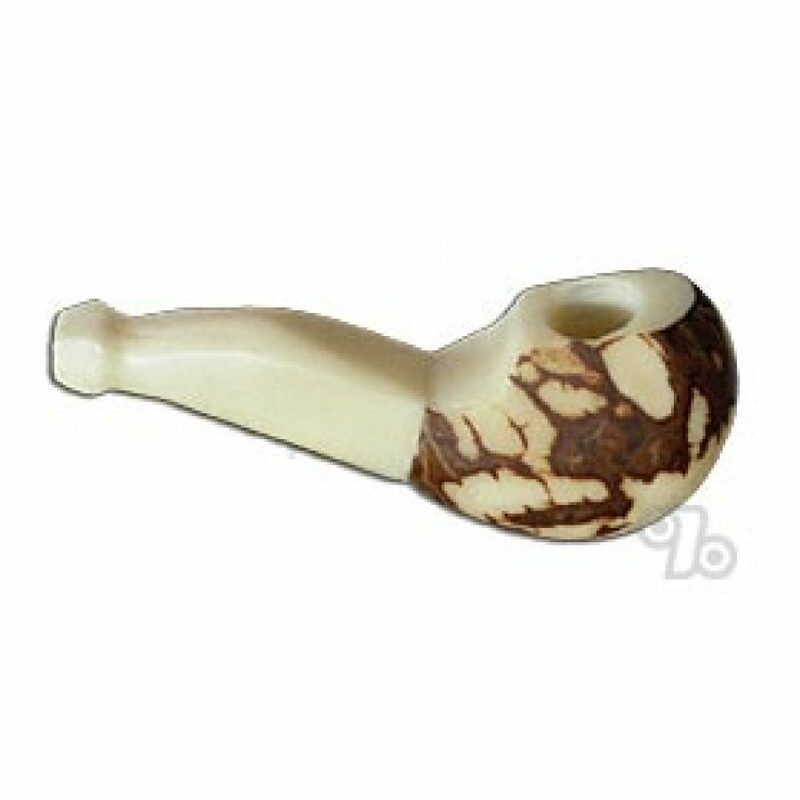 Each organic nut pipe is a hand-crafted and hand-carved, one of-a-kind, unique, exotic piece of functional art. Tagua bowls stay cool under extreme conditions. Save the Rain Forest and support an indigenious people while enjoying your smoke! Runs about 3.5 inches long. May vary slightly from picture as each is hand made and unique. Nice and clear draw, looks great, fits in pocket nicely and would make excellent gift ! I have spent a lot of money on pipes and I finally found a keeper. It stays cool on the outside just like they said. It has a great taste and keeps clean longer than other pipes. as far as am concerned this pipe is under priced. DON'T WAIT !!!!!! Small clean smoke looks nice too. This pipe is a must! Best pipe I've ever had after 50+ years!